Caroline Theobald, CBE Chair, First Face to Face Ltd, Chair of the Newcastle Business School Advisory Board, Northumbria University; co-founder and director, North East Initiative on Business Ethics (NIBE) Ltd, Honorary Consul for Sweden; Trustee, Newcastles of the World Caroline Theobald is co-founder of First Face to Face Ltd, the successor to Bridge Club Ltd, which she established in 2000 to connect early stage growth entrepreneurs to money, management and new markets. Caroline is involved in several early-stage growth companies and co-founded Gabriel Investors, a north east group of female business angels. She is also an ambassador for a Tees Valley campaign to unearth hidden female talent and promote gender equality. 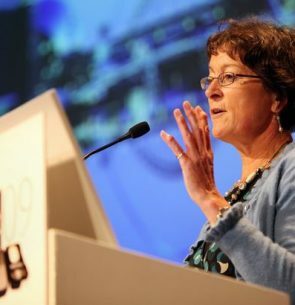 A passionate advocate of responsible/ethical business she is also a founding director of NIBE and has recently been appointed to chair the Advisory Board at Newcastle Business School, Northumbria University. International interests are covered through her role as honorary consul for Sweden and chair of the North East Chapter of the Swedish Chamber of Commerce and Trustee of Newcastles of the World.